At the end of the year 1959, a new area of ​​study for science arose: the nanometer-scale technology. Richard Feynman exposed in a very visionary way for the time the advantages that could work in the nanometric scale (a nanometer is equivalent to a trillionth part of a meter). However, these advantages did not begin to become evident until 20 years later with the advance of new manufacturing techniques and especially with new characterization techniques. These techniques allowed scientists to understand and control to a greater extent the composition, shape, size and physical properties, as well as the ability to start developing all the electrospinning equipment and other machinery that would help in the research of those techniques and the chemistry of these nanomaterials. It is precisely here that Nanoscience is centered, in understanding and exploiting the properties of matter as a consequence of being in the “nanodimensión.” In fact, a nanoscale material has very different properties of the same material on a macroscopic scale. It is in these differences in chemical-physical properties (optical, electrical and structural properties) that there is a growing interest in this type of material. Nanotechnology is a multidisciplinary field that includes areas such as biology, chemistry, physics, material science, and engineering, and it’s of great importance in fields such as information technology, communications, microelectronics, biotechnology and medicine. 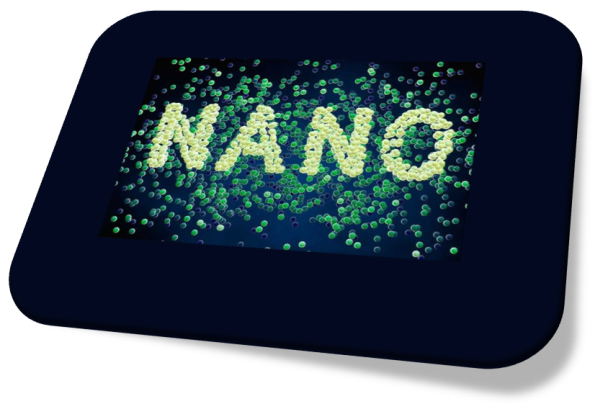 Currently, nanotechnology is a very fast growing area with more than 500 existing products already on the market. It is expected that the number of products and its economic and social impact will be much greater in the next 5 years. One of the sectors with the most growth prospects and that is starting to become a reality is biotechnology and medicine, both in the development of new diagnostic and imaging techniques, and in more effective therapeutic treatments, specifically aimed at tissue and organ damage. Nanoparticles are already a clinical reality that is beginning to be used against some tumors. Thanks to the tools provided by nanotechnology, great advances are emerging in the treatment of various diseases, such as cancer, neurodegenerative diseases, autoimmune diseases, and cardiovascular diseases. Probably one of the most widespread applications in the field of therapy is the use of nanoparticles as transport vehicles for the controlled release of drugs. The encapsulation of certain drugs in nanometric systems has been shown in many cases to improve their stability, solubility and biodistribution. In some cases, drugs target the organ exactly where it is needed in a more effective way. In this way, more effective medications are obtained and a lower dose of drug is required, thus reducing the possible side effects and improving the quality of life of the patient. This type of approach is now a reality and the use of polymeric particles and liposomes are already being used clinically. Another approach currently in development with very promising results is the use of nanomaterial as a therapeutic agent. This type of approach is being used in experimental cancer treatments using magnetic or gold nanoparticles. These nanoparticles have the peculiarity of releasing heats, after inducing their heating under the influence of an alternating external magnetic field or by irradiation with a laser. Due to the greater sensitivity of tumor cells, the temperature increases the healthy cells. In addition, good results are being obtained in the treatment of certain types of tumors in combination with conventional chemotherapy.